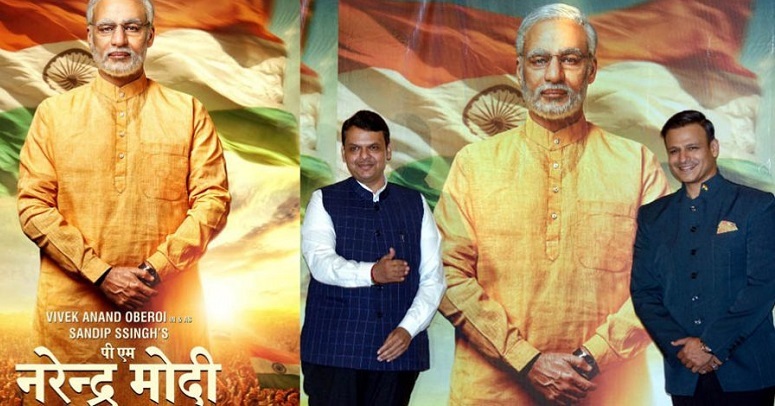 A Bollywood biopic on Narendra Modi’s rise from humble beginnings to Indian prime minster is to hit cinemas next month, its director said on Friday, just in time for elections. “Proud to announce the release date of my film #PMNarendraModi 12th April 2019,” Omung Kumar B said on Twitter. The Hindi film industry has a long tradition of producing politically tinged flicks — but industry watchers say 2019’s offerings are more partisan than ever before. “The film will traverse the journey of Narendra Damodardas Modi from his humble beginnings to his years as Gujarat Chief Minister,” Kumar said. “[And] onto his landmark win at the 2014 election and finally being nominated as the prime minister of India,” he added. Kumar has also directed other biographical movies including one on Mary Kom, India’s leading Olympic boxer. The nationalistic, all-guns-blazing ‘Uri: The Surgical Strike’, which celebrates the Indian army’s strikes on militants in 2016 in response to a raid that had killed 19 Indian soldiers, is one of the most successful movies this year. Modi was widely lauded for the operation and the film sees Vicky Kaushal play an army major in charge of avenging the attack — which India blamed on its arch enemy Pakistan — on the Uri base. Besides ‘Uri’, other politically-themed movies released this year include ‘The Accidental Prime Minister’, which was based on a book about India’s previous prime minister. Another filmmaker also released ‘Thackeray’, a biopic about divisive Mumbai politician Bal Thackeray, who died in 2012. The film, according to the critics, was designed to boost support for the Shiv Sena — a Hindu chauvinist party he led and founded.